Rob is SO focused on his agents and building their business! Everything he does at Aubrey & Associates is to get his agents more productive!! This is a great place to do business!! I've worked for several brokerages over the years and Rob is by far the best broker out there. He provides Realtors with the tools and training needed to succeed in today's changing market and he's always available to his agents. Rob's model is different from all other brokerages in Utah and it's by far the best company for agents and their clients. A broker that helps you succeed is a great place to be. Rob Aubrey & Associates Realty offers education, mentoring, marketing and so much more is a must have for any successful agent. Rob is easy to reach and always concerned with his agents. I love working for Rob Aubrey. I’ve had my license 15 years and have switched brokers more than once to say the least. (Probably 10 times) Rob is the most helpful, knowledgeable broker. Quick to answer questions and willing to do bend over backward to help you succeed. He is on the ball and knows his stuff! This company is there to help you. Rob is always there to answer the phone and has the right answer to any questions. I honestly could not ask for a better broker to be associated with. His knowledge of technology has helped improve my efficiency and bottom line. He is ALWAYS there to help when I need advice. Thanks for everything Rob; you are a great broker. I love Aubrey and Associates. I’ve been with a few brokerages in my short 8 months as a real estate agent. They all have positives, but I will say that I never had any other broker call me to see how my deal was going and if I had any questions or needed any help with anything until I joined Aubrey and Associates. There’s a lot of training and support available which is super helpful, especially for a newer agent like myself. Rob stands and runs his business by his motto of HONOR, INTEGRITY AND HARD WORK! He is my biggest cheerleader when it comes to my success! I am proud to be working for such an amazing company and Broker! Five Stars ~ It's a true pleasure working with Rob Aubrey, Broker/Owner of Utah's coolest boutique Real Estate firm, Aubrey and Associates Realty! As one of his team of Real Estate agents, I appreciate Rob's mindset, a balance of fun, positive, high integrity and keeping it 'real'. Rob has a contagious enthusiasm for people, life, and Real Estate business with his 25+ years wealth of industry knowledge he generously shares through coaching, training and certain development classes extended to agents regardless of their current broker. Longtime Real Estate agents who know him describe Rob as by far the 'BEST' Broker they've ever worked for! His motto is #Proud2ServeU .....and it shows! I have known Rob all my "Real Estate" life. He actually hand held me through my first transaction and has "mentored me" from then on. He helps me when I need help, answers my sometimes "dumb questions" and talks me through things when I get stuck. So...if you are thinking about it...join us! The amount of knowledge and support I've received since joining Aubrey and Associates is unparalleled. Rob always makes himself available whenever I'm in need of his time. He shares his knowledge quite freely and offers a ton of support especially towards lead generation. He also has a ton of technological knowledge regarding products that help you run your business efficiently and at very low cost. 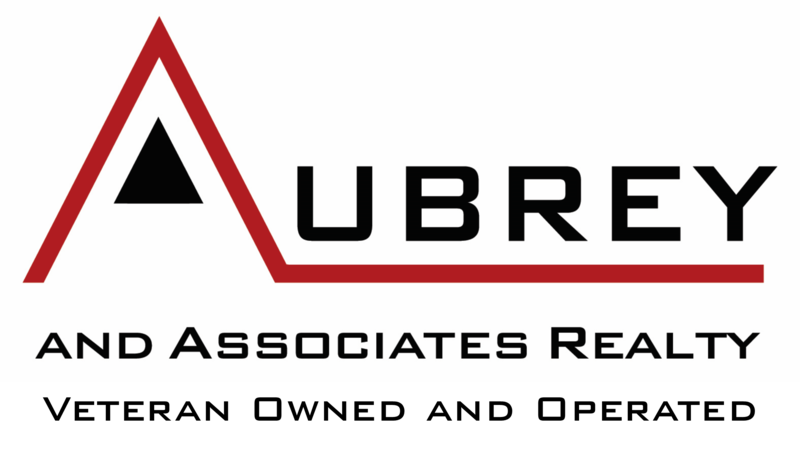 I would highly recommend Aubrey and Associates to any agent who cares about services standards and is looking for more growth. Rob is by far the coolest nerd I know. I was drawn to him because of his very clear love to teach and look out for the agents who are in his circle. As a newer agent in the business, having someone like him in my corner is the best thing that could have happened to me! This is so like Rob to create a site not solely for his brokerage but as a precursor to helping us, his agents, create our own sites and facebook pages. He works everyday to serve his clients and give the agents in his brokerage all his knowledge, and time, and talents. He thinks constantly about better ways to make what we do easier for us and use our time and resources more efficiently. I use the technology he has taught me to also help make the rest of what I do in life easier. Rob, thanks for sharing and caring. I would best describe Rob Aubrey as a servant-leader. A servant leader is a servant first. It begins with the natural feeling that Rob wants to serve first, which is in sharp contrast to one who is a leader first. Typical leadership involves the accumulation of power by the "one at the top". Servant leader shares the power by putting the needs of others first. Rob consistently helps his agents to perform and execute at the highest level possible through empowerment. I have personally grown immensely the past year, and I attribute my growth and enthusiasm to Rob under his tutelage. Awesome company. Rob takes the time to educate his agents and keep them up-to-date on industry best practices. He always picks up the phone! Joining Aubrey and Associates a year ago--although I didn't realize it at the time--was life changing for me. Rob Aubrey has been my coach, my sounding board and my best cheerleader. He has helped me understand how to be the best at what I do. I learn in every conversation I have with him and the conversation is always about how he can help me. Everything, and I really mean everything he does is for the benefit of his agent's. I've tripled my sales under his tutelage and I cannot express my gratitude for how much he's done and continues to do for me. He's never too busy for me and my endless questions as I learn the other side of real estate--selling. Rob Aubrey is a 12 out of 10. I'm SO GLAD to be part of his team!!! I met Rob Aubrey online in 2007 and was impressed with his embrace of technology. His continued adoption of technology and his ability to teach others is why I can't see myself going anywhere else. He has superior knowledge of real estate transactions. He answers his phone. And he has low broker fees! Rob Aubrey.... unreal support and coaching. No fluff, listen to what he teaches and succeed. Great stuff. I have been to the others, you won't get the support. I've been with Rob since April 1st and have learned so much. He is always available to answer questions and get involved whenever I need help. His ideas are great and he is a technical wizard. I'm glad that I made the change. Rob Aubrey really cares about his agents and it carries over to all of us... I feel like we’re more like family and I know I could call any of them for help and they’d be there. I’ve been an agent for 15 years and worked with great brokers, but Rob surpasses them all. I can call him anytime and he quickly responds with great ideas and answers to any situation or problem, he’s tech-savvy, and mentors each agent. Thanks for being so awesome Rob! Rob Aubrey is the most supportive broker I have had the privilege to work with. The knowledge I have gained from his experience, training & general awesomeness, has been an integral part of my real estate success. Rob's unending support and encouragement continue to inspire me daily. Rob is great at supporting you in how you want to run your business. He is always available to help and easily reached! Rob is an excellent broker who is encouraging and helpful to you as an agent to grow and increase your business with you. I have taken my business to the next level without losing/giving up a large percentage of income to get there thanks to his help and guidance.